Who knew simple temperatures could be some of the greatest pain relievers available? You would be surprised, actually. 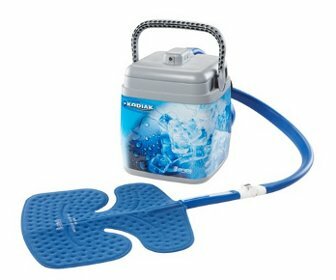 The medical community has known for centuries that hot & cold therapy can help relieve pain from anything like minor aches and pains to chronic arthritis and joint pain. A lot of the benefits far outweigh more harmful narcotics and it’s a preferable alternative for your physical health. Many doctors will even prescribe it for many post surgeries or traumas. Each temperature serves a difference purpose though so it’s important to know when to ice vs. heat an injury. Cold therapy can be a great relief for swelling, inflammation, burns – basically anything that feels hot. It can help expedite the de-swelling process, which is why doctors often prescribe it after plastic surgery so you look better faster. But it also relieves the pain by reducing muscle spasms and your nerves ability to conduct impulses that send pain messages to your brain. So go ahead and freeze those nerves! We don’t want them sending those messages anyway, right? 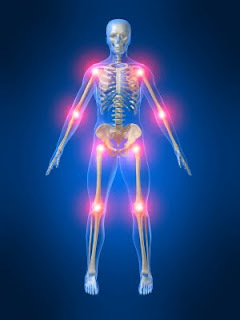 Examples of Popular Conditions for Cold Therapy Arthritis is a popular example of pain that cold therapy can relieve. When you feel that burning sensation in your joints-reach for a cold therapy wrap! Other situations would be bruises, sprains, any swollen joints or conditions like Plantar Fasciitis – an extremely painful circumstance that occurs when the tissue in the bottom of your foot is inflamed. Some foot/ankle braces actually come with cold compresses embedded within them for this condition specifically. Heat Therapy is best used to ease pain like cramps, muscle soreness or stiff joints. Heat works to stimulate thermoreceptors which block your body’s pain transmitters from communicating with your brain. It also improves blood flow and circulation so any stiff joints will be moving in no time. Have you ever been really cold and rubbed your arms, hands or legs to warm them up? Your performing heat therapy to increase your blood flow and warm up! You might have noticed after a stressful day or intense exercise you feel exponentially better after a hot bath or hot tub session. This is an example of heat therapy on a basic, everyday level. If you’re experiencing any stress that’s making you tense, heat therapy is a great way to relax and feel better. Other popular instances are menstrual cramps, arthritis and diabetes. Arthritis can cause a lot of joint stiffness and heat therapy should be applied when you’re feeling motion resistance but not when you have that burning sensation – use cold therapy for that. Diabetics often have problems with their blood circulation causing stiff joints as well. A good pair of diabetic shoes combined with some heat therapy can make a world of difference. Cold and hot therapy can have some negative effects if used incorrectly. This usually happens when using homemade methods like ice packs, frozen peas, hot compresses or bottles, for example. It’s difficult to control the temperature on these and whether they’re hot or cold, the inaccurate temperature can actually burn your skin. Make sure to always have a cloth or towel in between you and application in addition to applying for no longer than 20 minute at a time. A good way to avoid the negative effects caused by those, you can use a hot & cold therapy system or unit. They’re designed to circulate a more temperature controlled therapy through the pad instead of concentrate on one area. This allows you to use the therapy for much longer periods of time than 20 minutes. Our Aqua Relief System is a great example of both since you can adjust to the optimal temperature you need and apply it 360 degrees around the area in pain. Also, be certain to never apply heat therapy to an open cut or lesion. A lot of doctors advise to even switch between hot and cold therapy at the same time. Just make sure you’re each correctly. If you’re joints feel stiff– don’t use cold therapy that will only make them stiffer. If your area of pain is red and inflamed make sure not to use heat therapy or the pain can actually increase. Just follow the basic guidelines and you’ll enjoy a significantly less painful life!